Infinity Falls at SeaWorld Orlando Review! Nick: Infinity Falls doesn’t officially open until October 4th, but on Friday, September 28th SeaWorld announced that the ride would have a soft opening period beginning that afternoon. I headed to the park immediately after work in hopes of riding, and sure enough, it was open! 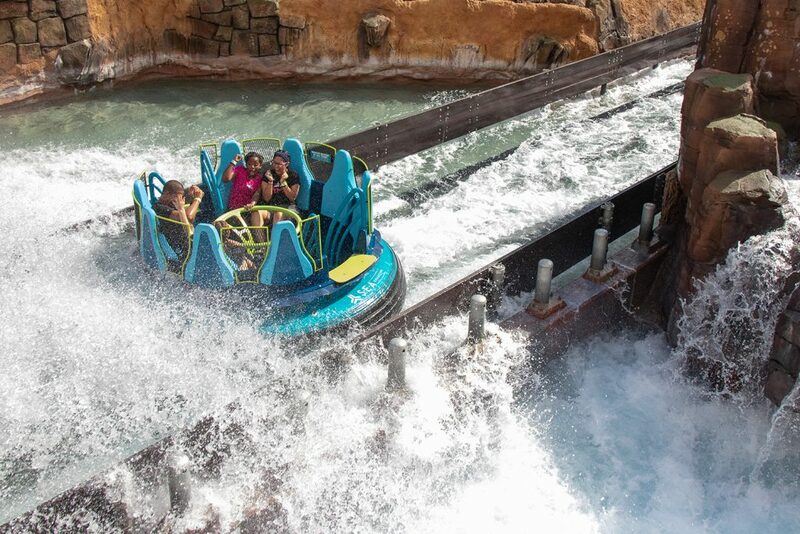 Read on for my thoughts on this awesome new rapids ride! Infinity Falls is easily the best rapids ride I’ve ever been on. 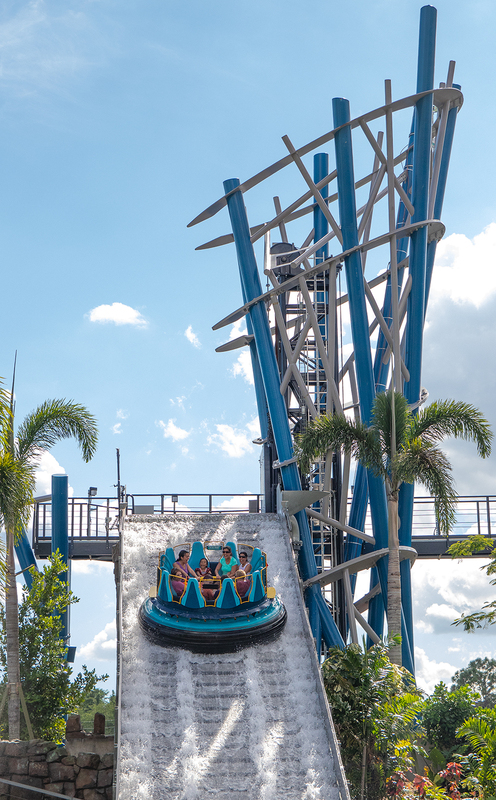 The main gimmicks are the drop, which is the “world’s tallest drop” on a rapids ride, and its unique vertical lift, with an iconic themed structure surrounding the elevator mechanism. These features are fun and eye-catching, but in my opinion the rapids sections are real stars of this attraction. They’re the most intense and drenching rapids I’ve ever experienced on a theme park ride – just watching the rushing water from off-ride is impressive. There are times when your raft is thrown into walls of churning water, partially submerging, and drenching, the riders on that side, so be prepared to get absolutely soaked – I think my shoes are still drying out from last week! The attraction also features some pretty decent theming. The queue is set in the South American rain forest at the S.E.A Collective basecamp. It features some lush vegetation and all the supplies and research equipment you’d expect to see on a rain forest expedition. 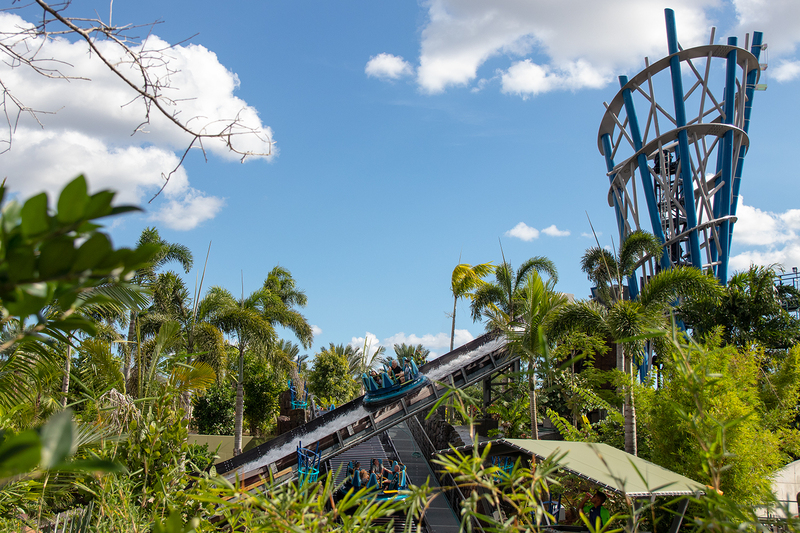 The main downside of the queue is that its all outdoors, and while there are some shade structures and tall trees, you’re still standing out in the Florida heat – but at least you know you’ll be cooling off on the ride! Speaking of which, the theming on the ride itself is also very well done. You start off by traveling under some old ruins (which of course have a waterfall to get you wet right from the get-go) and then into the first set of intense rapids. If you’re not soaked after that, during the first lift hill, there are fountains and water jets that will no doubt get you wet! After the lift, it’s into the next series of rapids, and these seem even more wet intense than the first. Finally, you arrive at the elevator lift for the big finale – the huge drop! 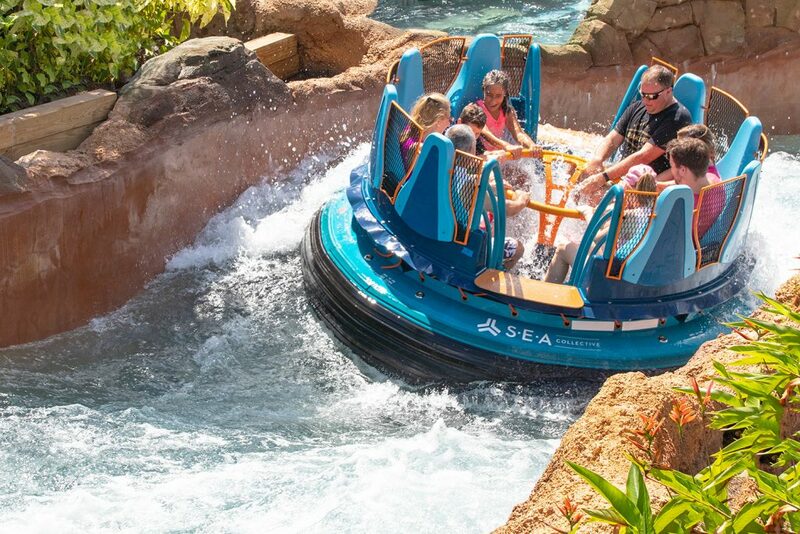 You get a nice view of the whole ride from the top, and then plunge down 40ft creating a huge splash! Overall, Infinity Falls is a fantastic addition to SeaWorld. It has totally transformed the back of the park, breathing new life into the former Sea Gardens area. It’s also great to have another ride to cool off on in the summer. 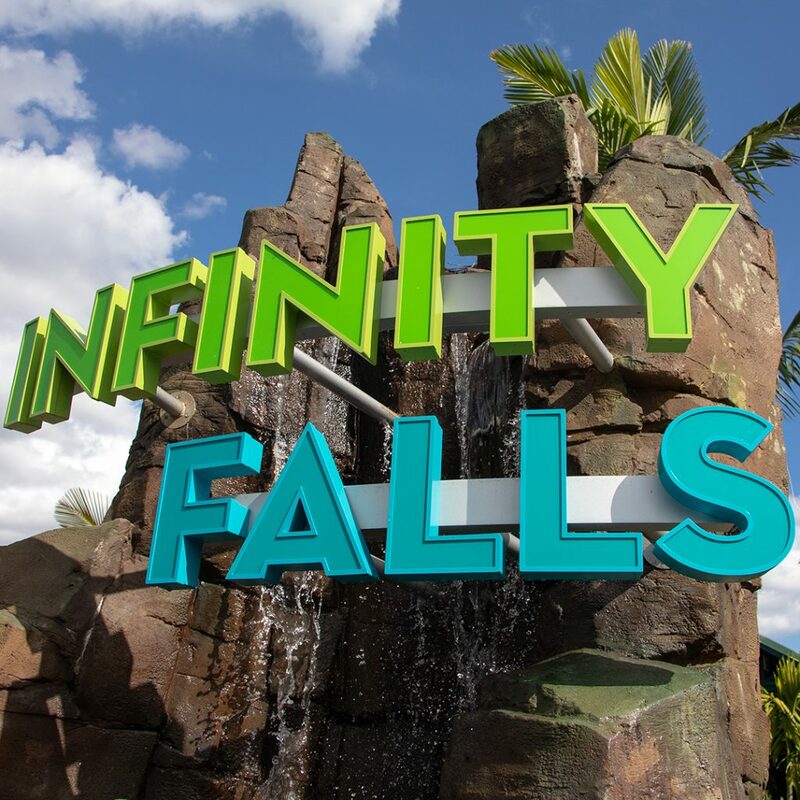 Infinity Falls officially opens October 4th, 2018 so be sure to check it out! 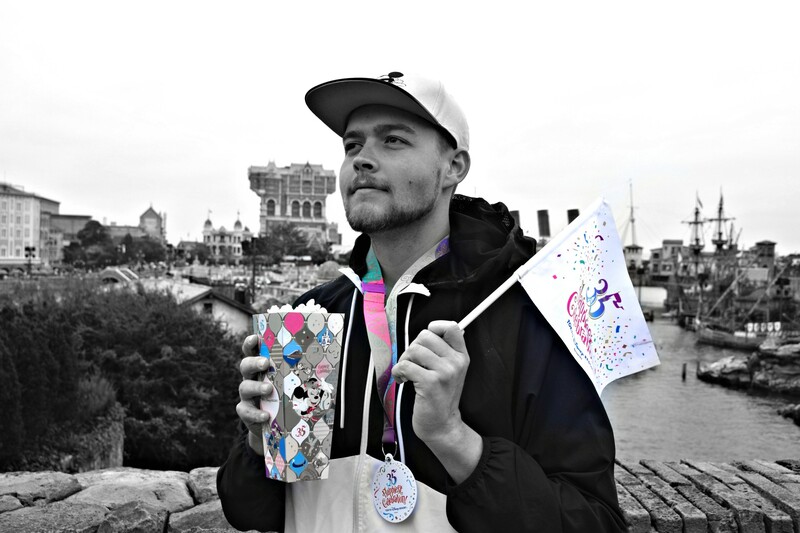 Thanks for reading my thoughts on Infinity Falls! While you’re here, be sure to check out our other recent Florida articles, and follow us on Instagram and Facebook for more updates and photos! Tigris and Iron Gwazi (?) Coming to Busch Gardens Tampa!